The skies belong to the Aces. 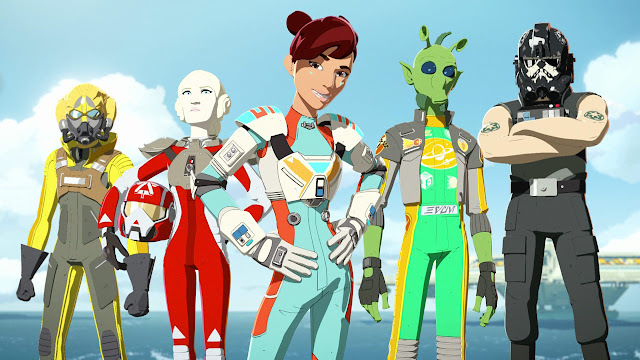 Star Wars Resistance is an exciting new animated adventure series about Kazuda Xiono, a young pilot recruited by the Resistance and tasked with a top-secret mission to spy on the growing threat of the First Order. Get to know the platform's most daring pilots when Star Wars Resistance premieres Sunday, October 7 at 10pm ET / PT on Disney Channel. See the video and meet the Aces after the jump.